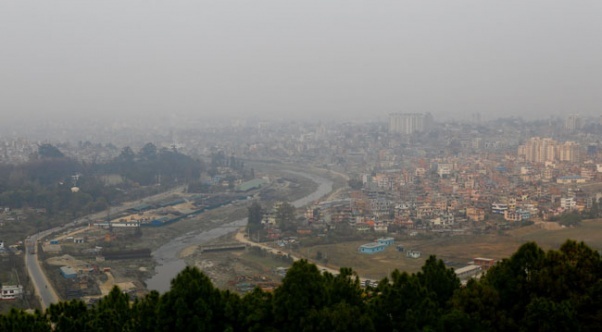 KATHMANDU, Jan 8: Kathmandu Valley received the first rainfall of this winter on Monday. The moistures were brought by the westerly trough which entered Nepal on Sunday afternoon from the western region. 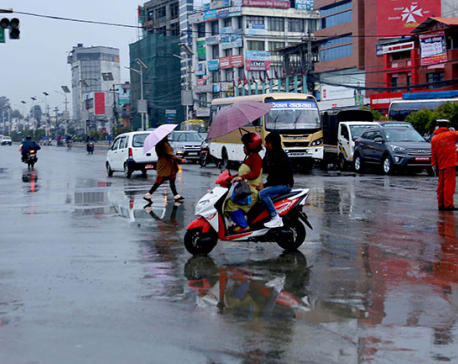 The trough affected many parts of the country on Sunday itself, bringing rains and snowfall in most parts of the western region including Dipayal, Dadheldhura, Surkhet, and Nepalgunj. However, its effects were noticed in the central and eastern regions only on Monday. With 15.6 degrees Celsius as its maximum temperature, the Valley remained relatively cold compared to other days. 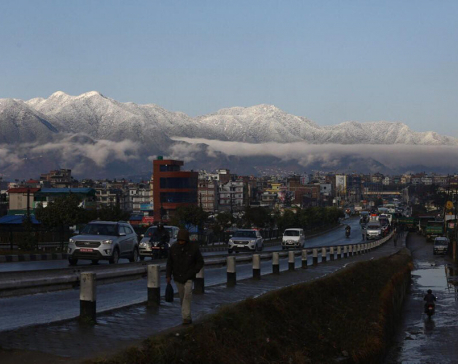 The Metrological Forecasting Division (MFD) recorded Kathmandu’s minimum temperature at 6.5 degrees Celsius on Monday. The westerly trough bringing winter rainfall is considered a normal phenomenon, informed meteorologist Subash Rimal at the MFD. “The trough is moving eastward and will start exiting the country from Tuesday. It is likely to reach Sikkim and Bhutan. As a result, weather in most parts of the country will remain clear from Tuesday,” informed Rimal. However, Rimal added that a few places of the central and eastern regions have chances of light rainfall while high mountainous areas retain chances of snowfall. Besides the Kathmandu Valley, Dipayal, Dadeldhura, Dhangadhi, Simara, Pokhara, Bhairahawa and some other places also witnessed rainfall. Nepalgunj recorded the heaviest rainfall on Monday, measuring 6.1 mm, followed by 5.5 mm in Dang. 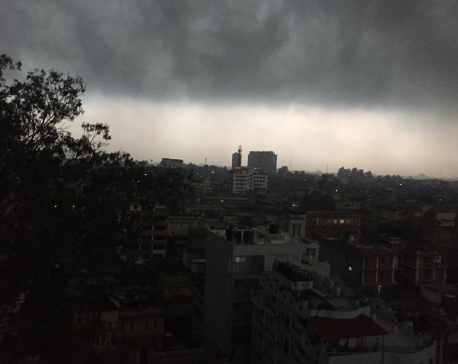 Rainfall in Kathmandu measured just 0.6 mm, according to the MFD. On the other hand, mountainous regions including Mugu, Humla, Mustang, Jumla, Jajarkot and northern parts of Makwanpur among other places received snowfall. In Jajarkot, snowfall that started from Sunday evening affected normal life. Kushe Rural Municipality, Warekot Rural Municipality and Junichande Rural Municipality received one-foot deep snowfall, hitting daily lives of the locals, especially the elderly, children and the poor. Schools of the district remained closed due to snowfall. Likewise, ponds and lakes in the Himalayan region started freezing due to excessive cold. Dumba Lake of Mustang and Gangapurna Lake of Manang have frozen surface. Mustang’s headquarters Jomsom was fully covered in white blanket of snow and its marketplace remained quiet throughout the day. The excessive cold is also forcing people in higher settlements to migrate to the lowlands. “Most of the villages in upper Mustang are almost empty. Many people have migrated to the hills seeking some warmth,” informed Deputy Superintendent of Police (DSP) Mahendra Khadka of Mustang. According to him, the neighboring Manang district is equally affected by cold. The temperatures in upper Manang, including Manang village, Tilicho and Humde areas, dropped to -7 degrees Celsius on Monday morning.